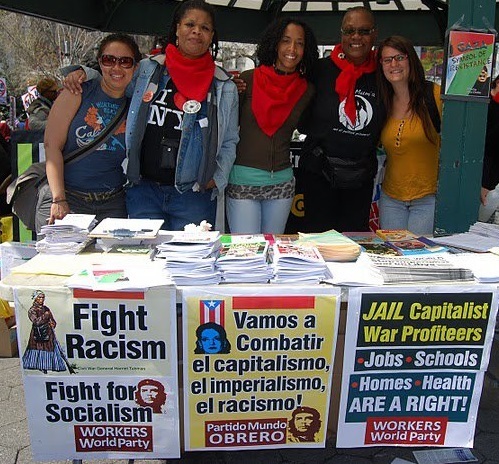 At the Left Forum this May 29-31 in New York City, Fight Imperialism, Stand Together — FIST — participated in a debate with other socialist organizations on the character that anti-imperialist struggle must take in this period. This debate is central to the overall struggle for liberation in a period when imperialism is openly destroying whole areas of the planet. 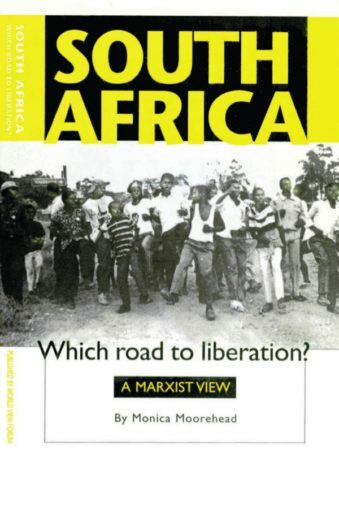 FIST remains firm in asserting that the primary role of revolutionaries in the U.S. is to defend and fight for the self-determination of oppressed nations in conflict with imperialism, especially U.S., West European and Japanese imperialism. Too often, what passes as the left in the U.S. makes the grave mistake of siding with white supremacy by disregarding facts and parroting imperialism’s racist war narratives. 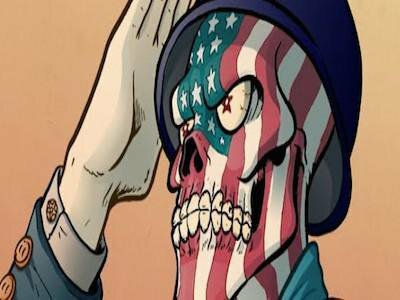 What is of primary importance, then, is for revolutionaries to expose the true character of war within the context of the chaos U.S. imperialism is causing all over the globe. This chaos includes the killing of more than 1.5 million people and creating 8 million refugees internal and external in Iraq, and hundreds of thousands of deaths in Afghanistan, destroying a stable government in Libya and sowing civil war, intervening to cause thousands of deaths and nearly 2 million refugees in Ukraine, to mention a few examples. When it comes to damage caused by U.S. imperialism, no situation is more acute at present than in Yemen. Saudi Arabia, U.S. imperialism’s ally in the region, is waging a bloody invasion there in an attempt to reinstate the government of President Mansur Hadi, which had been compliant with U.S. and Saudi interests. Saudi Arabia’s ruling class sees its geopolitical and corporate interests threatened by the new Houthi-led provisional government, which has declared independence from Saudi Arabia’s neocolonial rule. Saudi dominance has kept Yemen mired in poverty, sectarian strife and political repression. Saudi Arabia’s response to the Houthis has been a brutal offensive that has killed over 4,000 people and injured over 7,000 more in Yemen. Saudi Arabia’s invasion of Yemen has the U.S. imperial stamp all over it. Without the billions of dollars worth of military aid from Washington in exchange for oil money, the House of Saud would not have the capacity to wage its war of aggression. Nor could it conduct its documented human rights abuses, from the indiscriminate repression of its Shia population to the longstanding practice of repressing any challenge to its rule, with impunity. However, U.S. imperialism’s economic and geopolitical dependency on Saudi Arabia has silenced the “international community” on its human rights abuses. According to a report issued April 29 to the Congressional Research Service, from 2010 to 2014, Saudi Arabia received over $90 billion in military equipment and training from the U.S. (tinyurl.com/q2kd7h9), paid for with Saudi’s enormous oil export income. The U.S.-Saudi relationship has enriched the monopoly private military contractors and oil magnates of Wall Street. This relationship ensures that much, if not all, of Saudi Arabia’s destruction of Yemen is made in the USA. Now enter Israel. The youngest settler state in history is also one of U.S. imperialism’s largest trading partners, with 25 percent of its military budget being supplied by Washington, according to RT, May 27. Yet, recently re-elected Prime Minister Netanyahu has demanded that Washington dish out $45 billion more in military aid from 2018 to 2028. This demand is framed as a necessary step to defend the Zionist state from Iran. However, recent developments tell a different story. 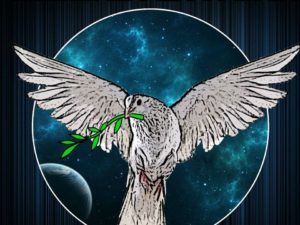 Reports on May 24 in Press TV indicate that Israel’s colonial military has been aiding foreign-backed terrorists in Syria and is now re-engaging in a bombing campaign of the Gaza Strip. These imperialist ventures have everything to do with Iran, but not for the reasons stated by officials of the Israeli state. U.S. imperialism bankrolls Israel’s war machine because both it and Saudi Arabia share geopolitical interests with the Zionist state, especially regarding Iran. Ultimately, each of these three oppressor countries sees Iran as a major obstacle to their expansionist ambitions. Expansionism and colonialism are at the very root of Zionism’s foundation, and the forced removal and genocide of the indigenous Palestinian population is a primary example. But what is often dismissed is the grand imperialist scheme that unites the forces of Empire. The ultimate aim of imperialism policy is to destabilize sovereign nations in order to enrich the capitalist class at the head of the U.S.-Israeli-Saudi alliance. In this time of worldwide capitalist crisis, where the illegitimate rule of Wall Street and its surrogates can no longer reform itself to achieve the objective of endless profit, imperialism’s unholy alliance has nowhere else to turn but to consolidate its murderous military machinery. What else can explain Ukraine’s current situation? In 2013, U.S. imperialism empowered fascist forces to oust the government of Ukraine, causing a humanitarian crisis that the nation has yet to recover from. The United Nations High Commissioner for Refugees has confirmed that more than 1 million people are internally displaced and nearly another million had to leave their homeland in Ukraine (unhcr.org). In the last year, nearly 7,000 have been killed in the ongoing war between the illegitimate fascist government in Kiev and the resistance of the Ukrainian people. Despite this carnage, the International Monetary Fund has made a multibillion dollar deal with Kiev on behalf of its corporate masters in the midst of the carnage (New York Times, Feb. 12). Similar to the massive investments that corporations like Raytheon and Boeing make in the Zionist military establishment, the corporate incentive behind the war in Ukraine is clear. War is profitable, and capitalists will use any means to wage it. However, the chaos of imperialism cannot be fully explained by the profits of war, particularly because much of the war being waged today has brought great cost to the imperialist system as a whole. The invasions of Afghanistan and Iraq have cost trillions and counting and have contributed to the never-ending economic crisis in the U.S. In 2011, imperialism’s war on Libya opened the door to reactionary fundamentalist forces that left the nation too unstable for consistent corporate penetration. What the U.S.-NATO and Gulf Cooperation Council alliance regard as “intelligence assets” in groups such as ISIS, the al-Nusra Front and other assorted reactionary elements have unleashed uncontrollable chaos throughout the region following the fall of Libya’s sovereign state. Yet no matter the losses and consequences the ruling class may face under imperialism’s terminal crisis, it is the people of the world who suffer. This crisis of imperialism is both political and economic. Much of the world sees how imperialism’s policy of plunder is neither sustainable nor beneficial for humanity. Russia, China, Iran and many other nations are trying to align themselves in a manner that will defend their sovereignty in the face of an increasing threat of destabilization from Washington and its allies. Economically, the world capitalist system is incapable of recovery and is seeking to push through policies such as the Trans-Pacific Partnership to extend the dominance of Wall Street capital. In short, no plan the imperialists can devise can escape the fact that the system of profit for the few and misery for the many has reached its natural limits. Some progressive people have suggested that a way out of this misery is to support the candidacy of Sen. Bernie Sanders of Vermont for the U.S. presidency. Those of us who take an anti-imperialist position, know that Sanders is an open supporter of Zionist Israel, who also supported the U.S. invasion of Afghanistan and voted funding for the U.S. war against Iraq. Even should Sanders’ candidacy be viable, we can still expect the chaos of imperialism to reign for the years to come. However, there is a war escalating in the U.S. that brings the possibility of internationalism to take root again here in the citadel of imperialism. This war is on Black America. The Black Lives Matter mobilization has brought the daily murder of Black people by police to the forefront of the U.S. political landscape. It is here where unity between oppressed people imprisoned within U.S. borders and those terrorized beyond them can truly develop. It is not enough to highlight the bloated U.S. military budget or denounce imperialist war for its impact on the economic situation inside of the U.S., however important this may be. 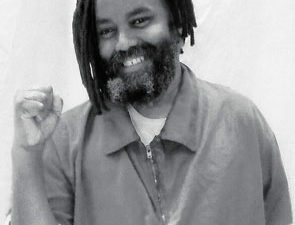 We must align ourselves with the people of the world in their just struggle against the chaos of imperialism so we can wage it here with similar courage and strength.